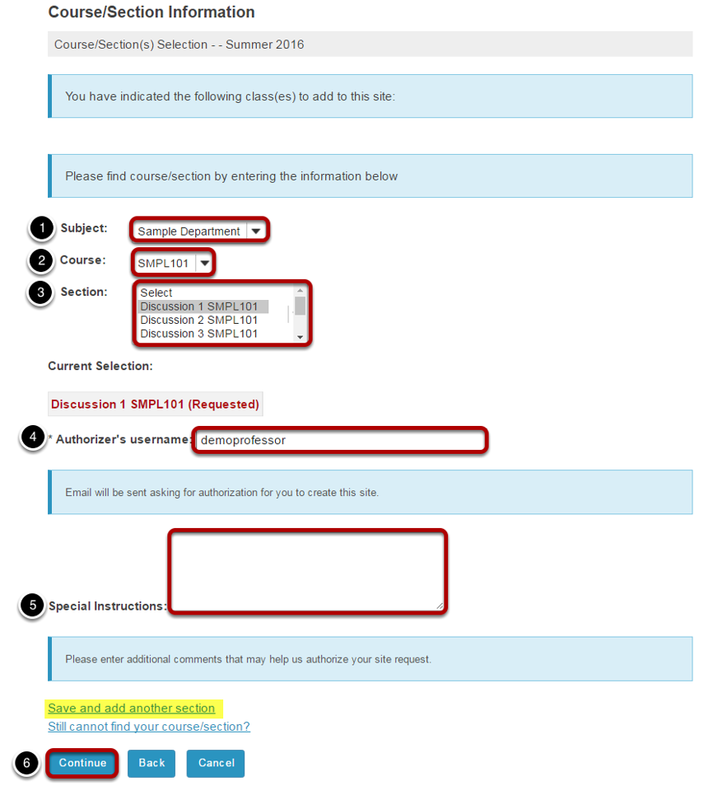 Instructor User Guide Site InfoHow do I add a class roster? Note: Permissions for adding or deleting rosters in a given site may vary depending on your system's institutional enrollment implementation. In most cases, adding rosters by class or section is subject to automated roster updates. Zoom: Click Edit Class Rosters. Select the term and class(es). From the drop-down menu, select the appropriate academic term. If you are listed as the instructor of record for certain courses in your course catalog, those courses and their sections will be listed. Or, select to add courses not listed above. Zoom: Or, select to add courses not listed above. If you are not listed as the instructor of record for a course, enter the instructor's username. An email message requesting the instructor's authorization for the site will be sent. You have the option of adding any information that may facilitate the authorization of your site request. Click Continue to add the roster. Tip: If you have more rosters to add, click on the Save and add another section link to add additional sections. Prev: How do I remove users from my course or project? Next: How do I delete a class roster?